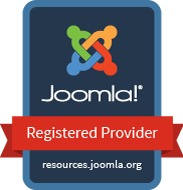 "The Joomla!® name is used under a limited license from Open Source Matters in the United States and other countries. This website is not affiliated with or endorsed by Open Source Matters or the Joomla! Project." Want to be up-to-date with the latest news, courses, promotions and offers at JoomShcool? Subscribe now! Copyright © 2019 JoomSchool International.